Hundreds of volunteers are donating their time Friday to help remove trash and debris from Miami Marine Stadium. More than 325 volunteers are expected at the event, organized by Friends of Miami Marine Stadium, the Greater Miami Convention & Visitors Bureau, the Virginia Key Beach Park Trust, the City of Miami, and Miami-Dade County. "It got banged up during Hurricane Andrew, but you know what, she's a strong lady," said Bill Talbert, president of the Greater Miami Convention and Visitors Bureau. The Miami City Commission on Thursday agreed to allow a nonprofit group to develop a plan to renovate Miami Marine Stadium. 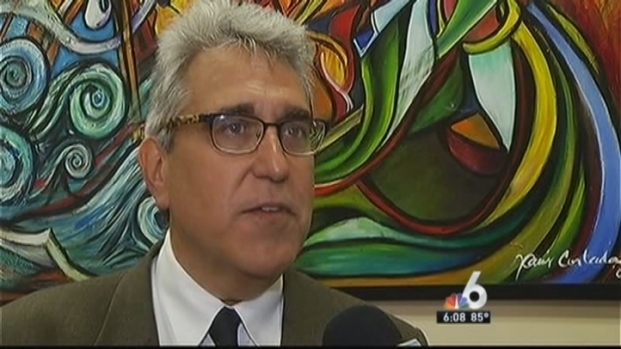 NBC 6's Ari Odzer reports. In addition to removing trash, volunteers will create a photographic survey of the graffiti and street art inside the stadium, and will complete a native planting project in Virginia Key. The 6,500-seat stadium, located at Virginia Key on the Rickenbacker Causeway, was built in the 1960s for powerboat racing. But it was closed in 1992 after damages from Hurricane Andrew. "This officially marks the restoration of the Miami Marine Stadium, absolutely," said Jorge Hernandez, co-founder of Friends of the Marine Stadium. 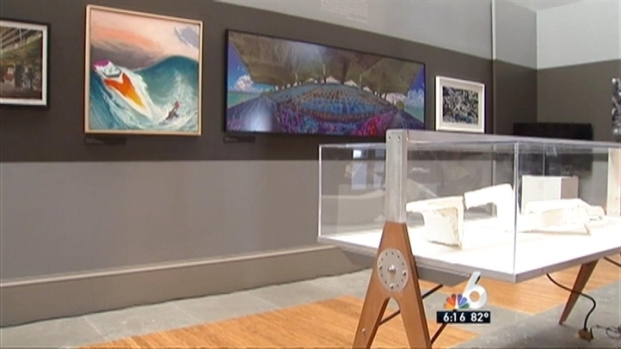 Curator Rosa Lowinger discussed Coral Gables Museum’s newest exhibit, on the past, present and possible future of Miami Marine Stadium. Graffiti artist Jorge Flo just discovered the stadium after moving to South Florida last month. NBC 6 anchor Adam Kuperstein reports, with video from NBC 6 photojournalist Chance Horner. Last summer, the Miami City Commission gave control of renovations to Friends of Miami Marine Stadium. The renovation includes building a marine exhibition center, on part of the parking lot, to support its operations. Volunteers said they are excited to return the stadium to its former glory. "There's nothing like this in the world," said volunteer Carolyn Cauceglia. "This is an incredible jewel on Biscayne Bay. It's hidden, no one knows about it. They need to know about it. They need to know how great it was and how great it can be." The cleanup efforts conclude National Tourism Month in Miami. Talbert said he hopes the stadium will be yet another reason for tourists to flock to the Magic City. "This will be another venue for our community that we can sell for meeting and conventions and for visitors," he said. Stadium supporters said they plan to start working on the privately funded $30 million project by the end of the year.